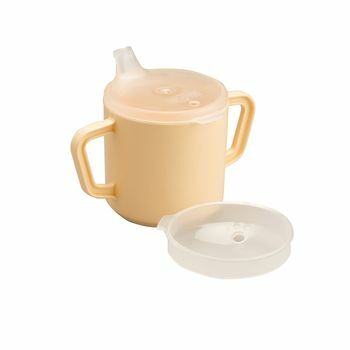 Two Handled Mug - This mug has two handles to assist control and is supplied with two lids - one for anti-spill and one with a drinking spout. The mug is dishwasher safe, but not the lids. 200ml capacity.